Figure 1. 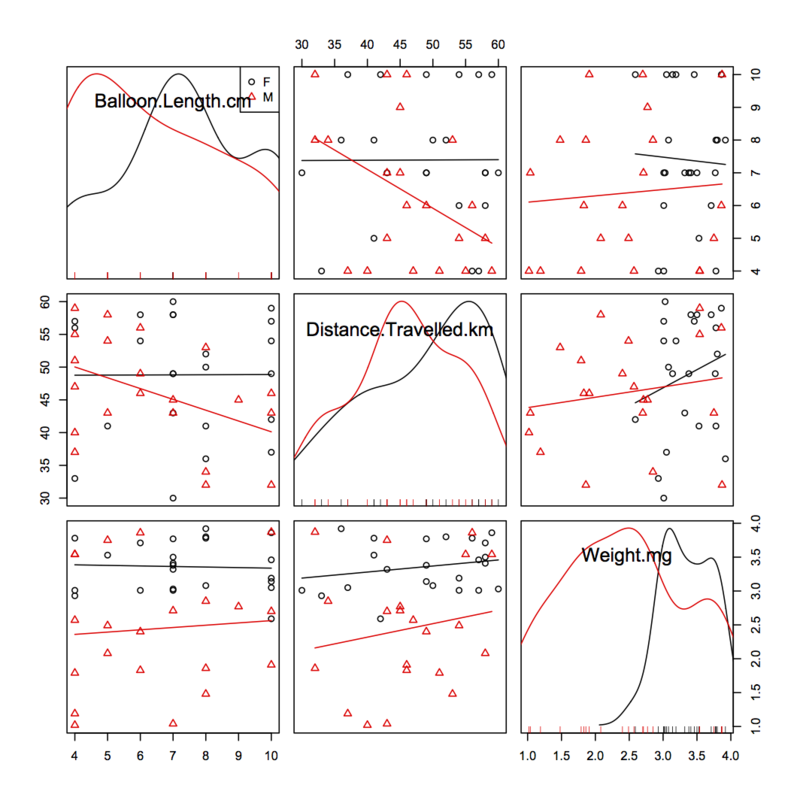 Scatterplot matrix of male and female balloon length (cm), distance travelled (km), and weight (mg). Females are represented in a black color and in circles. Males are represented in a red color and in triangles. Column one has balloon length (cm) on the x-axis. Column two has distance traveled (km) on the x-axis. Column three has weight (mg) on the x-axis. Row one has balloon length (cm) on the y-axis. Row two has distance traveled (km) on the y-axis. Row three has weight (mg) on the y-axis.